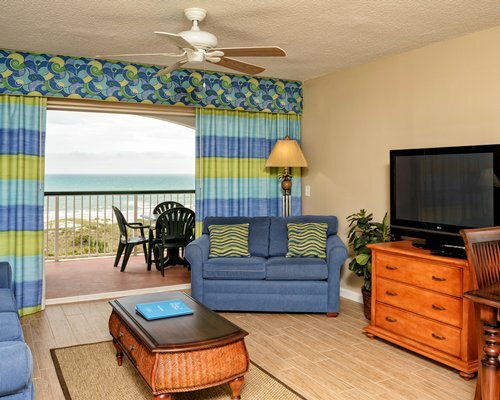 Caribbean charisma sets the tone for a fun-filled vacation at The Resort on Cocoa Beach. 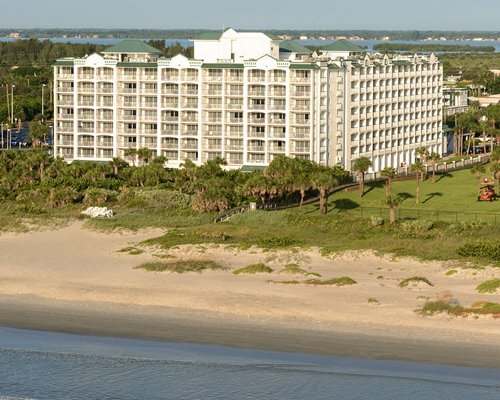 The resort is situated directly on popular Cocoa Beach; the pristine water of the Atlantic Ocean awaits you. The resort offers a heated pool with a tiki bar. An interactive children's fountain will keep kids busy for hours. For indoor fun, enjoy the children's playroom. The resort also offers an exercise room, basketball court, tennis courts, and an elevated Jacuzzi overlooking the resort's dramatic fountain. After a day in the sun, relax at the resort's 50-seat theater.